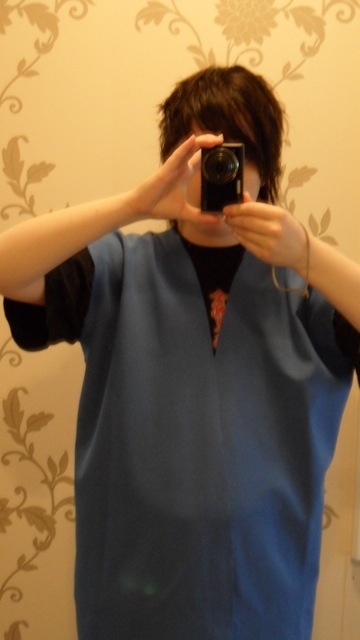 Not so long time ago I went to the attic and picked up some suitable fabric for my Falkner cosplay. 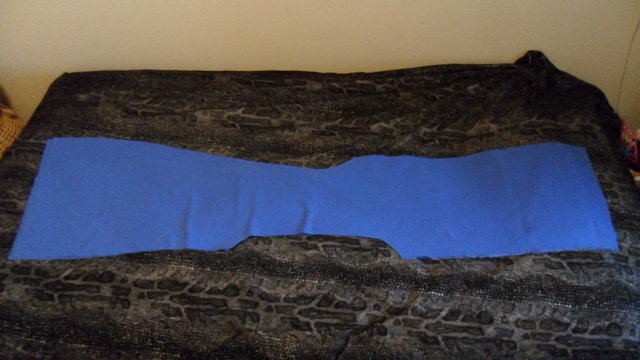 Also during the last weekend I cut out the two body parts for Falkner's blue sleeveless kimono-style top. This time I didn't strive for making it very accurate to a genuine kimono, because, while you can see his outfit is very much inspired from Japanese clothing there are some not-so-authentic qualities to it. 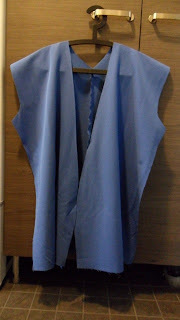 So well, I came up with some kind of hybrid kimono pattern. Looked like this after being cut out. Today I decided to sew together what I had cut out. First I zigzaged around the part on both left and right pieces which was going to be the back seam. Then I sewed them together at the back. After that I zigzaged the sides and sewed them together. 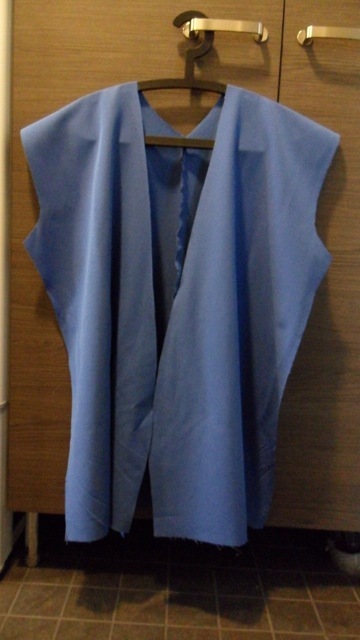 Then I just ironed the seams open and tried it on.